The optimised title field, part of the extra fields option is an Elite feature of our plugin. Interested in getting the most out of your marketing campaigns? Upgrade to the Elite version of our plugin, enjoy the optimised titles and many more Elite options. Enabling the option will result in extra input fields for all your simple and variation products which you can use for populating your product feeds. Among all the extra input fields (such as brand, GTIN, MPN, etc) there is also an ‘optimized title’ field. By filling in this field with an alternative product title you will overwrite the ‘default’ product title generated by the plugin. Meaning you do not have to configure the optimized title field for all your products but just for the ones that you want to be changed. 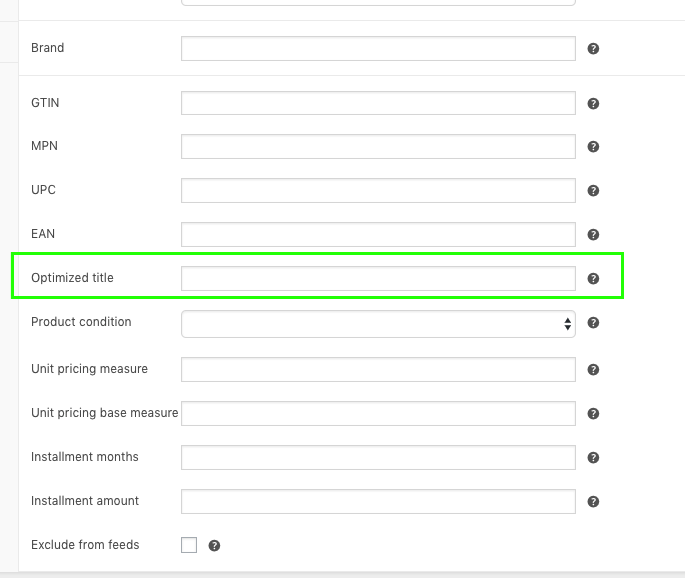 Would you like to know more about the option to add extra fields to WooCommerce? Read our blog post here.